Recently, I signed on to be an ambassador with Church & Dwight. Many of their reliable and effective brands can be found in all corners of your house - Arm & Hammer, Oxy-Clean, Gravol, Rub-A535 and... Trojan. We'll be talking about our favourite Church & Dwight standbys, as well as, inform you about the new products we try. This should be fun! Let's get started! It's Winter in these parts (though I'll admit we haven't faired too bad) and that means days of snow play, meals of warmth, and hot drinks with layers of whipped cream! We're all finding ways to deal with keeping warm this winter, but your feline knows how to do it best. Your kitty will want extra cuddles, whether they are a long-standing family member or a recently adopted gem. Ensuring your cat feels at ease and part of the family is key to a happy Garfield. But Church & Dwight have a new plan, to make kitty loving a little less stinky. You won't have to smell the ripeness of cat urine (for up to 7 days!) and your cat will be even more happy stepping into a drier environment. 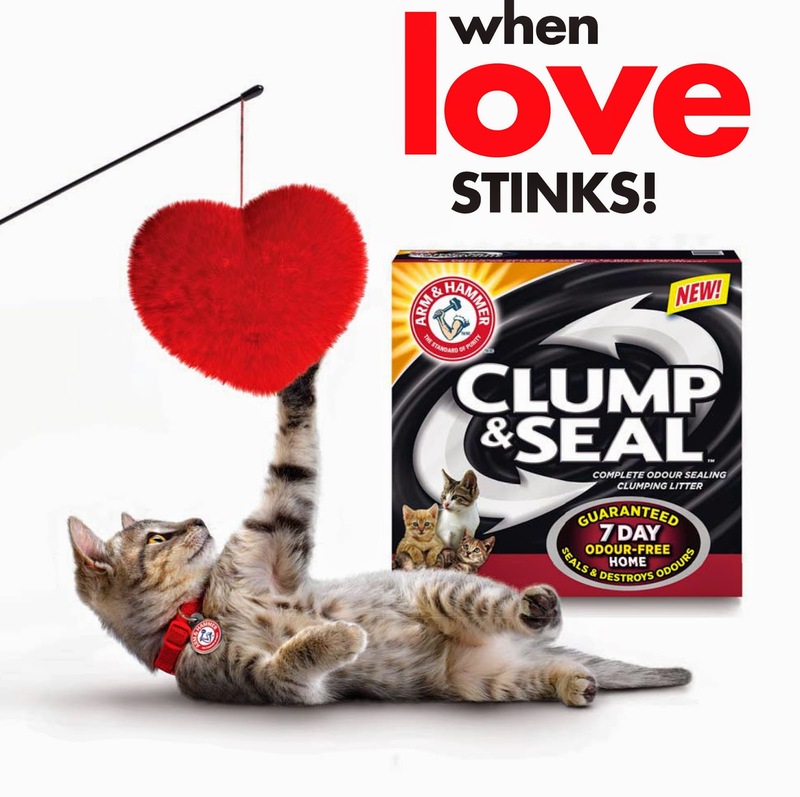 Arm & Hammer's "Clump & Seal", complete odour sealing litter is the biggest advance in cat litter history. A proprietary blend of moisture granules form a seal around urine and feces, locking in odour with fierce baking soda strength. and it locks in the smelly without having to BE smelly. 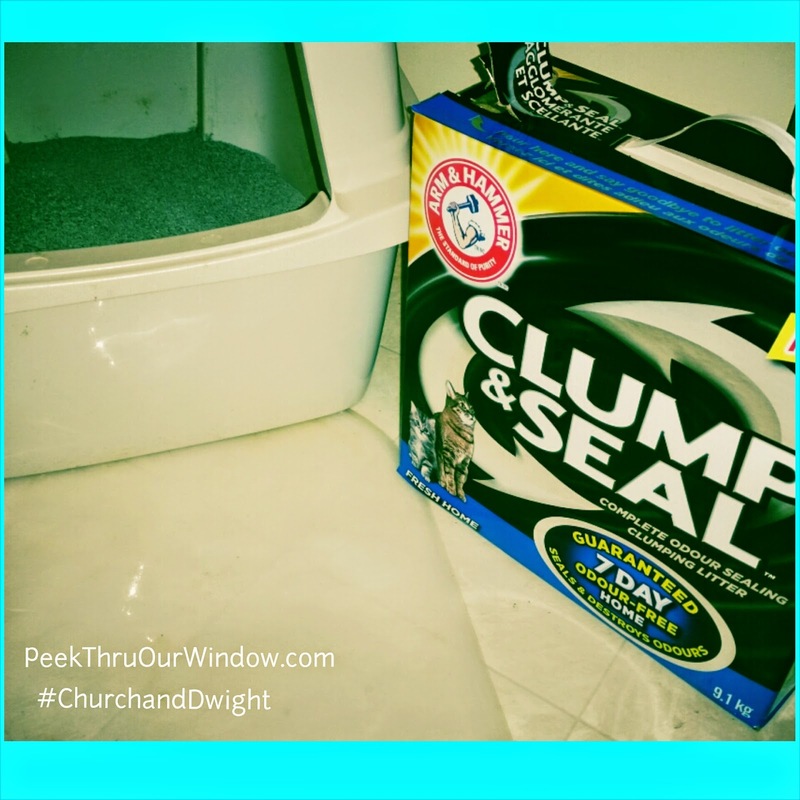 Stay tuned for some upcoming Church & Dwight giveaway fun! drop in a let us know what you think!